The Lower Peirce Reservoir, Singapore's second-oldest reservoir, was built by impounding the upper reaches of the Kallang River and was commissioned in 1912. The forest that lines its banks is considered a mature secondary rainforest and is still dotted with numerous rubber trees and oil palms – visible reminders of a past when vast areas of Singapore were covered with plantations. Visit the Lower Peirce Trail running through the forest and along the edge of this reservoir. Along this charming 900-metre boardwalk, you’ll be greeted with captivating views of regenerating secondary forests that line the reservoir as well as a variety of flora and fauna. The Lower Peirce Reservoir, formerly known as the Kallang River Reservoir, is Singapore's second reservoir and was planned as an extension of the first reservoir (MacRitchie Reservoir) to meet the increasing demand for the supply of water in Singapore. The Municipal Commission proposed its construction in July 1902 and the Westminster Construction Company of London was awarded the contract in March 1907. The reservoir was completed in 1910, at a cost of 967,641 Straits dollars, by damming the upper reaches of the Kallang River and was officially opened on 26 March 1912. Ten years later, the reservoir was renamed the Peirce Reservoir in recognition of Robert Peirce, who was the Municipal Engineer of Singapore from 1901 to 1916. It only acquired its current name in 1975, after the Upper Peirce Reservoir was built. Follow the direction of Upper Thomson Road. Turn left before the traffic lights at the junction of Ang Mo Kio Avenue 1 into Old Upper Thomson Road. Follow the road until you see the entrance of the trail. Parking facilities are available along the road near the Casuarina Entrance. Bus nos. 163, 167, 169, 855, 980. Alight at the bus stop nearest to the Sembawang Hill Food Court and walk along Old Upper Thomson Road towards Lower Peirce Boardwalk. The entrance to the trail (Casuarina Entrance) is about five minutes away. 1. Help protect this precious patch of forest and its inhabitants by staying on the boardwalks. Straying off the boardwalks will not only disturb the native flora and fauna but also degrade and eventually fragment the sensitive habitat. 2. If you wish to hike in the nature reserve in a group of more than 30 people, please complete this application form and submit it to us at least one month before the date of the activity. The Lower Peirce Nature Trail Boardwalk is part of the Central Catchment Nature Reserve. This Nature Boardwalk meanders largely through one of Singapore's last remaining mature secondary secondary forests and along the edge of Lower Peirce Reservoir. It is an important refuge for many species of birds, mammals, insects and other animals that are adapted to the forest environment. The Lower Peirce boardwalk meanders largely through a mature secondary forest. It is an important refuge for many species of birds, mammals, insects and other animals that are adapted to the forest environment. 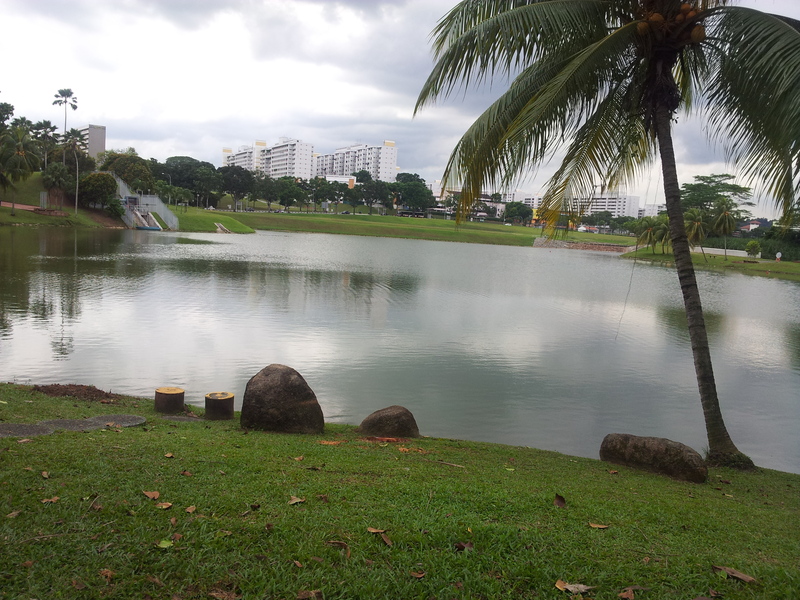 There is always something at the Lower Peirce Reservoir for shutterbugs. If you enjoy nature photographing, the Lower Peirce Boardwalk, which winds through the rainforest, offers plenty of opportunities for first-hand encounters with Singapore wildlife. Do you believe in the conservation and protection of our biodiversity? Here is a good chance for you to translate your passion into realistic actions. Be a Central Nature Reserve (CNR) Volunteer at Central Catchment Nature Reserve (CCNR). Together with our volunteers, we aim to enrich the public’s understanding and appreciation of our forest through various outreach activities. We believe that by sharing the responsibility of caring for our forest, we are able to conserve and protect it for the benefits of our future generations. If you would like to learn more about your community and the interesting world of your neighbouring macaques at Lower Peirce, please join our walk which is led by experts. With its lush greenery and peaceful ambience, Marsiling Park is an oasis of calm and tranquillity. 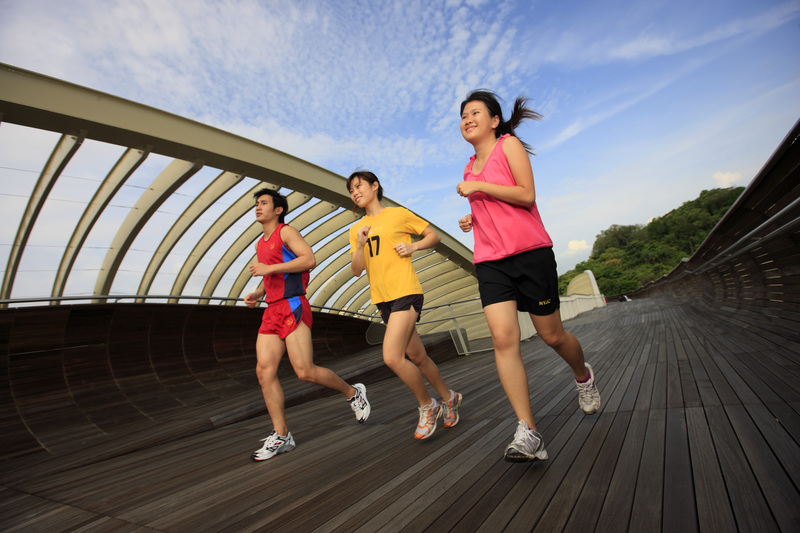 Keep up a healthy lifestyle and make visiting our parks a daily affair!